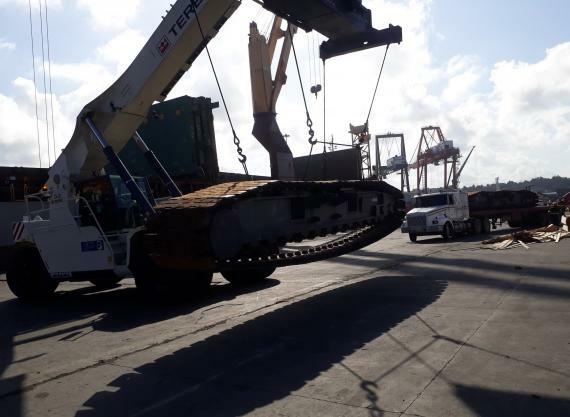 C Logistics Solutions (CLS) are members in the Dominican Republic and have recently handled the return of 2 KD Terex HC275 cranes to the USA. 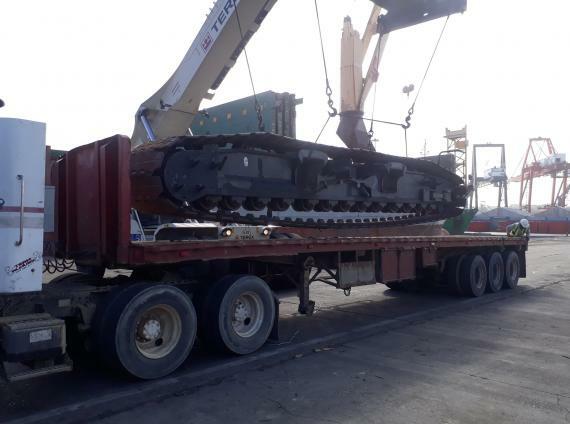 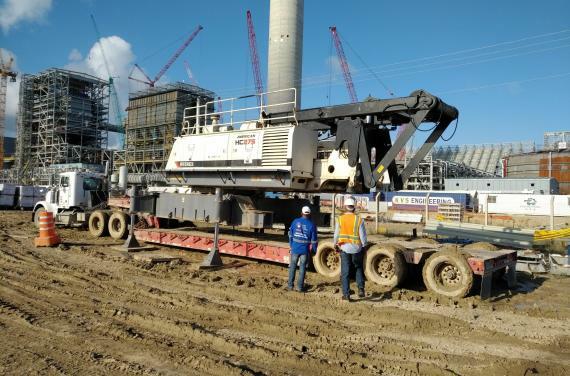 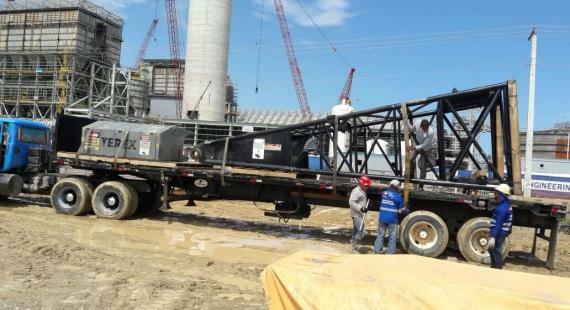 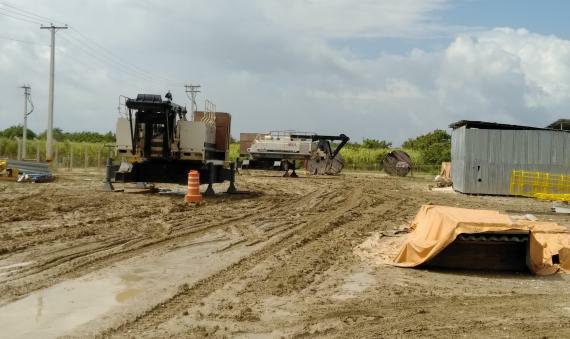 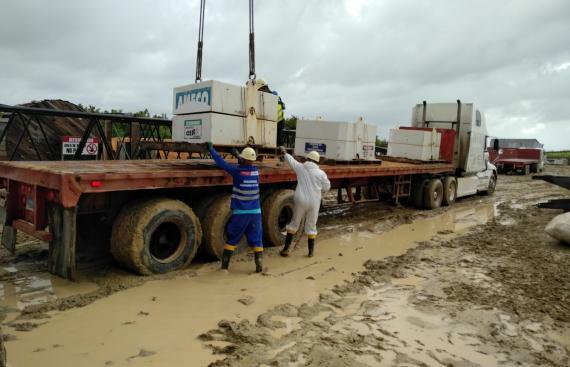 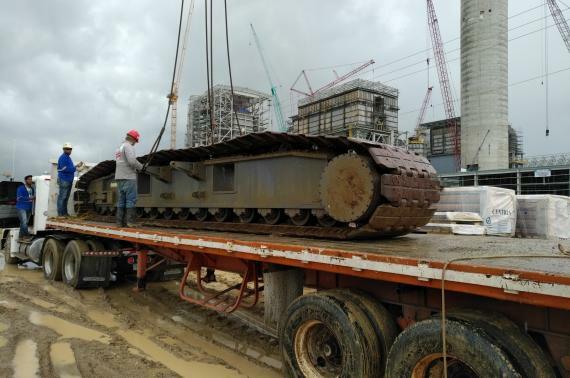 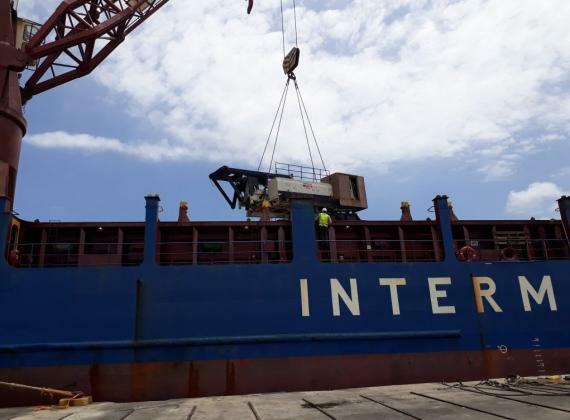 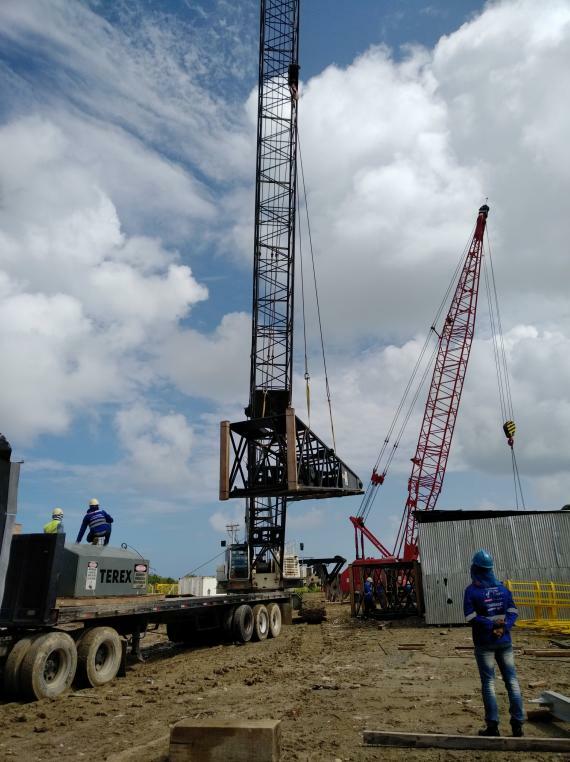 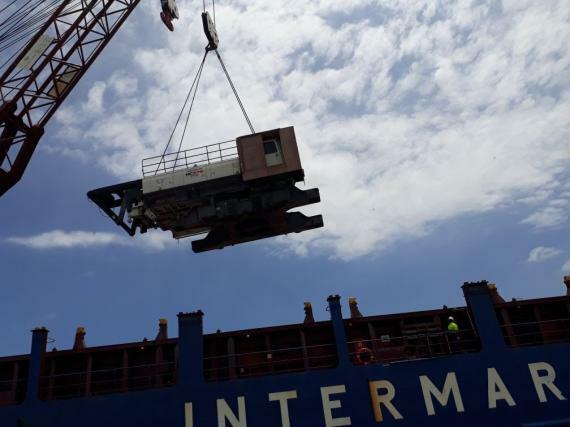 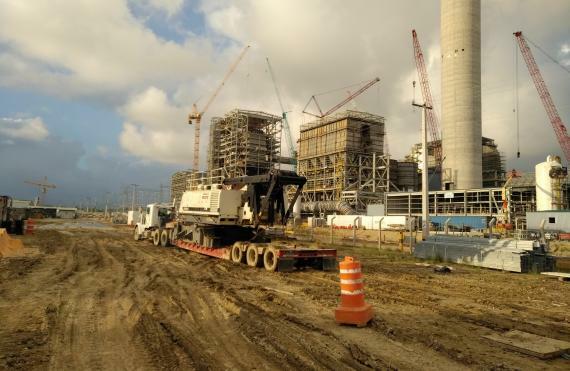 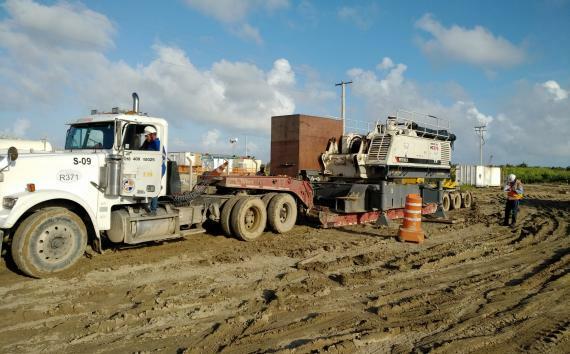 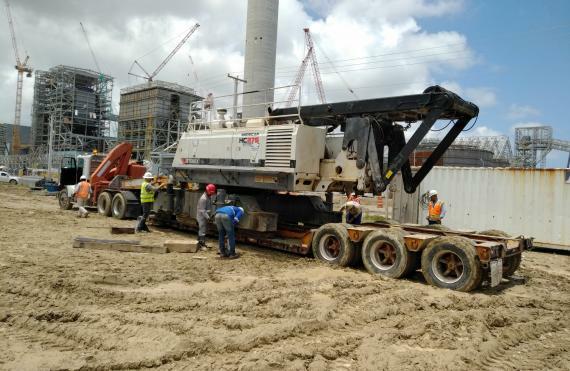 Alex Booth at CLS explains; "With the 752mw thermoelectric plant project at Punta Catalina in the Dominican Republic coming to its final stages, the heavy equipment used is now starting to be shipped back to their origins. 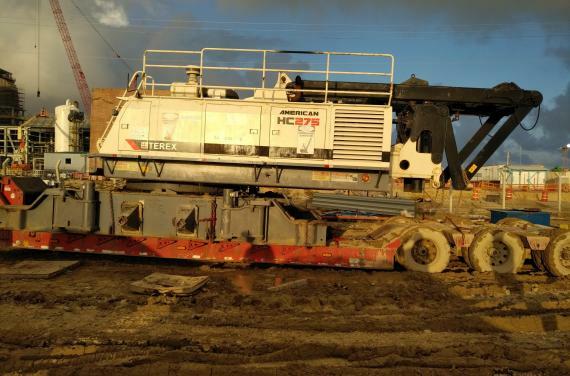 As was the case with these Terex HC275s which were going back to their owners in the USA after almost 2 years of service in the project. 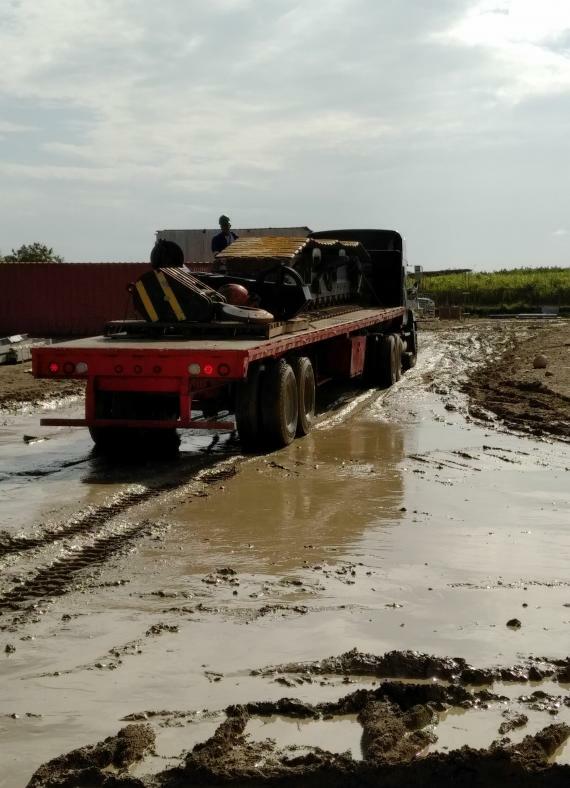 What might have been a relatively simple operation of loading out 21 x 40' and 45' flatbeds plus a couple of lowboys which estimated to take around 1-2 days, due to tropical rain storms and the resultant muddy conditions (as photographed below), there was a lot of standby time and the operations took 3 days. 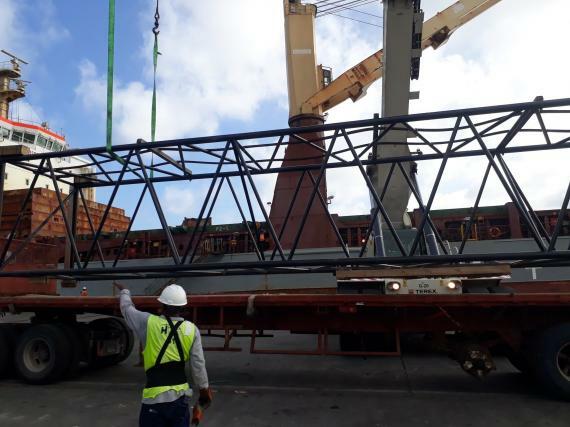 To add to the situation, the vessel's lay-days was brought forward by almost 3 days, so it was 'all hands to the pumps' and a second crane had to be called in to accelerate the dispatch from the project site to the pier at Rio Haina to meet the vessels new arrival time. 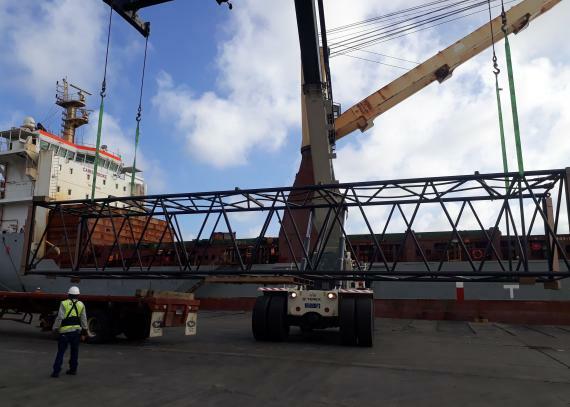 We finally managed to deliver the last load, one of the cranes' 42mtn cabins, to the pier the night before the ship's schedule to start loading at 08:00 the following morning. 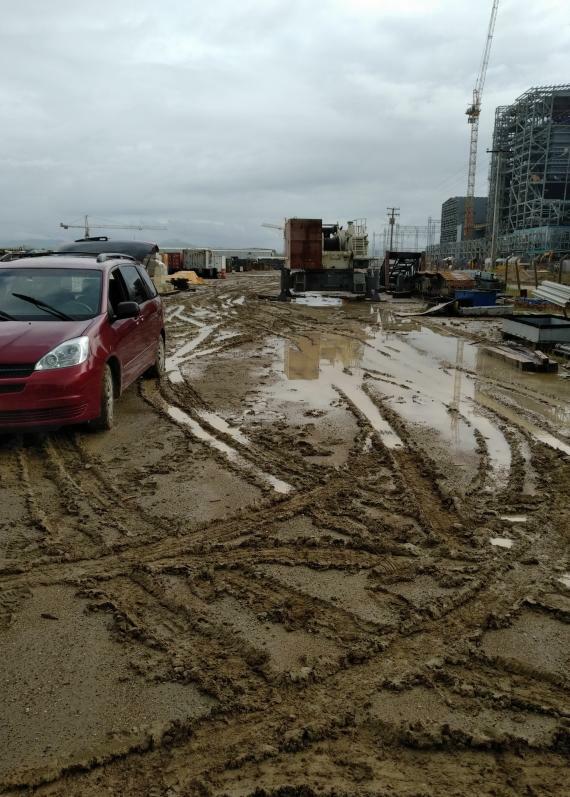 Mission completed! 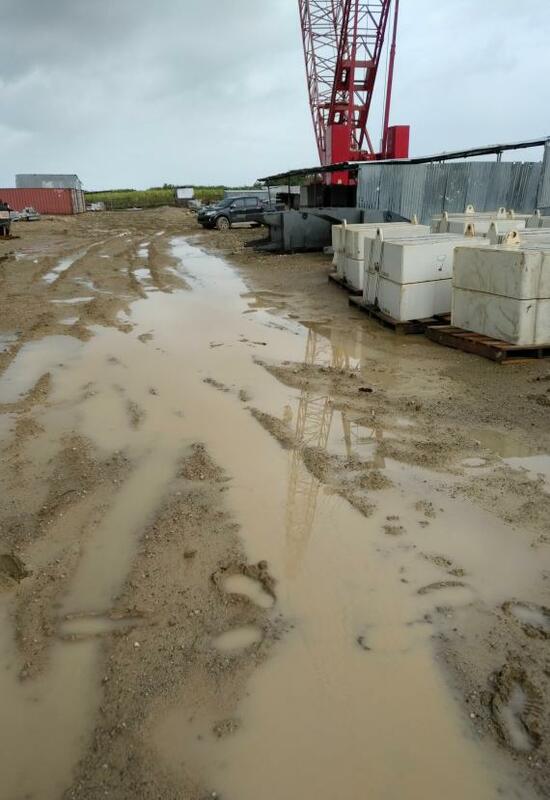 Now, I just have to get my wellington boots cleaned of the layers of mud stuck to them!" 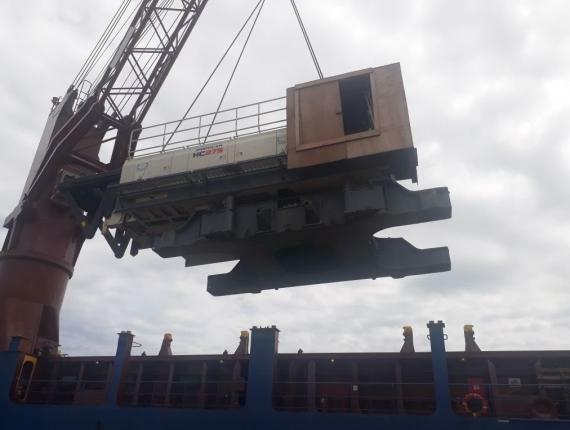 Well done to C Logistics Solutions on the safe completion of a challenging project!